Known for its ruggedness and legendary reliability, the Nissan Pathfinder has become more comfortable and enjoyable to drive over the years. 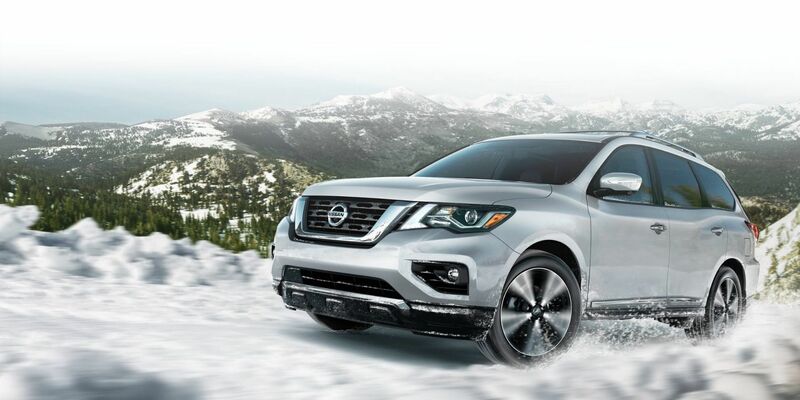 With the Nissan Pathfinder, you know that it’s still there for you when adventure calls. The Nissan Pathfinder of today is a mix between the muscle of previous generations and the comfort and refinement you’d want from a modern mid-size sport utility vehicle. Driven by a relentless 24-valve, 3.5-litre, six-cylinder engine, the Nissan Pathfinder boasts 284 horsepower and 259 lb-ft of torque. This is enough to provide all the passing power you need while allowing the Pathfinder to tow loads of up to 6,000 lbs. Despite its size and power, the Nissan Pathfinder still has a very reasonable fuel consumption rating of 11.6 L/100 km in the city and 8.5 L/100 km on the highway thanks in part to its efficient CVT automatic gearbox. 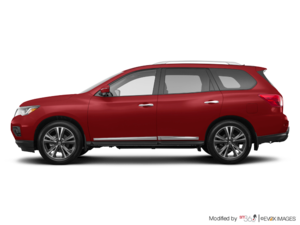 The 2019 Nissan Pathfinder comes standard with front-wheel-drive architecture, but all versions are also available with all-wheel drive. Capable of accommodating up to seven occupants and providing easy access to the third row of seats thanks to its EZ Flex system, the Nissan Pathfinder also offers exemplary safety on board. Thanks to the set of technologies known as Nissan Intelligent Mobility, the 2019 Pathfinder is equipped with a range of driver assistance systems. These range from a 360-degree camera to a blind spot monitoring system. There’s also an intelligent braking system that detects danger and brakes if needed. With all these technologies, the Nissan Pathfinder helps you avoid accidents before they even happen. In other words, you can hit the road with your family and get complete peace of mind. Powerful, fuel-efficient, and safe, the 2019 Nissan Pathfinder is everything a family needs. Don’t wait any longer and check it out today!